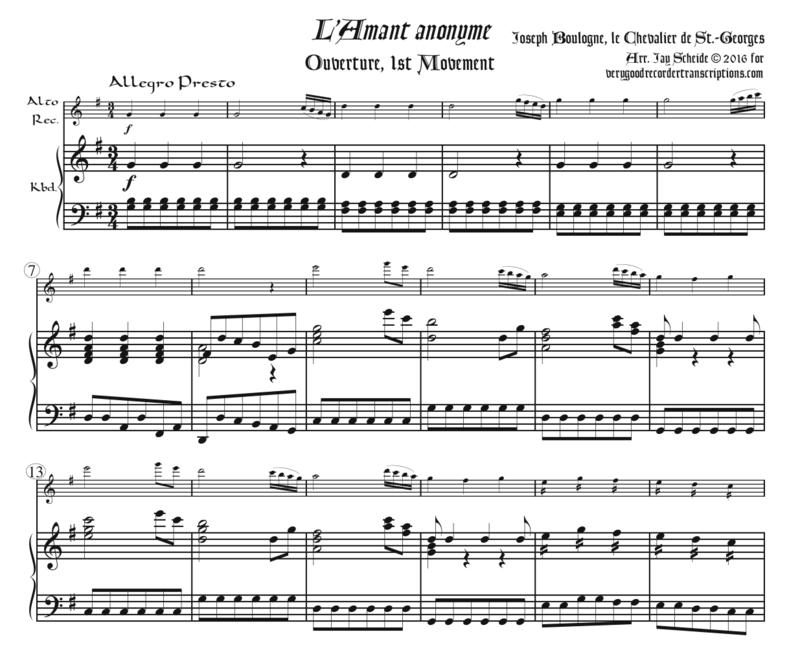 “Ouverture” from L’Amant anonyme, 1st Mvmt. Originally in D major for full orchestra, transposed here to G. The Ouverture also exists in the form of a Symphony, Op. 11, No. 2, which was also consulted for this arrangement. This is the first of three movements in the overture. The title means, “The Anonymous Lover.” Revised Feb. 12, 2019.